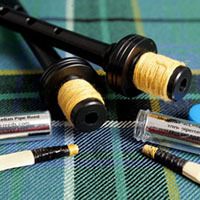 Reeds, chanters and piping products from renowned piper Colin MacLellan, winner of the Highland Society of London Gold Medals, Silver Chanters and myriad other major awards, as well as the former pipe-major of top-grade bands. All products made and/or selected personally by Colin to your specifications. pipesdrums.com presents the pipes|drums Shop for its membership without warranty. All purchases are an agreement exclusively between the purchasing customer and the pipes|drums vendor. pipes|drums Shop is not directly involved in any transactions and/or orders. All concerns and inquires should be directed to the individual vendors. We hold our vendors to the highest standards of customer service and expect them to provide our membership with exceptional quality interactions in addition to their high-end products. Avoid the “but I don’t like it” trap. Once you gain some understanding of piobaireachd, you’ll learn to love it. It’s what the pipe was made for.